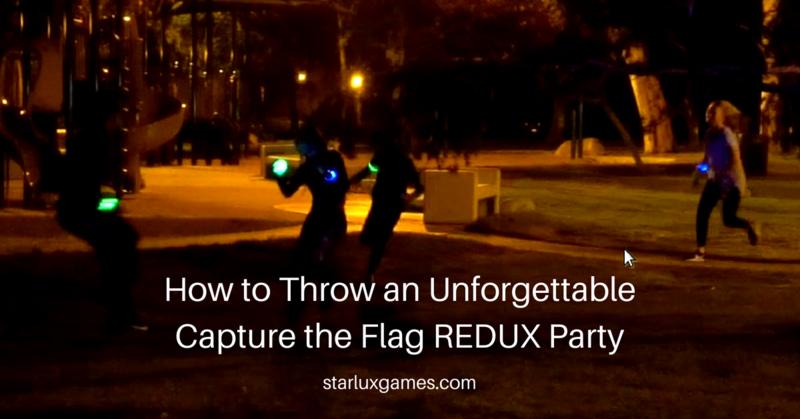 We’ve been tossing around ideas on how to throw an unforgettable Capture the Flag Redux party. After some brainstorming, we have come up with a bunch of terrific ideas and tips for making a kids’ party top notch. One member of our team suggested that before the party each and every smartphone should be tossed into a lake or otherwise destroyed! Not a bad idea, but let’s bring it down a level. There won’t be any need for parent-on-iPhone violence. With these tips and tactics, the youngsters attending the party won’t be worrying about any stupid screens. They will be too busy ripping and running while trying to capture the flag. An obvious thing to do when planning a big outdoor party is to check the weather. Yes, you will be trusting known liars who get carried away on local TV stations with their fancy maps. But it’s good to have an idea of the temperatures and chances of rain. By the way, just because it may rain is no reason not to have the party. A little rain never hurt anyone and can even make playing the game more fun. If we waited on predicted perfect weather days to do outdoor events, we would be stuck inside 90 percent of the time. Figuring out where to have your epic Capture the Flag Redux party is as important as the weather check. If you’re inviting more than twenty kids then you want to have a big area to play the game. A local park is an option, as well as a state park which will have plenty of woods to enhance the game. Smaller groups can use a large backyard or the neighborhood playground. If you can swing it, try to pick a location with an amazing view. Somewhere with a waterfall or mountains in the background. We won’t tell you who to invite to the party. 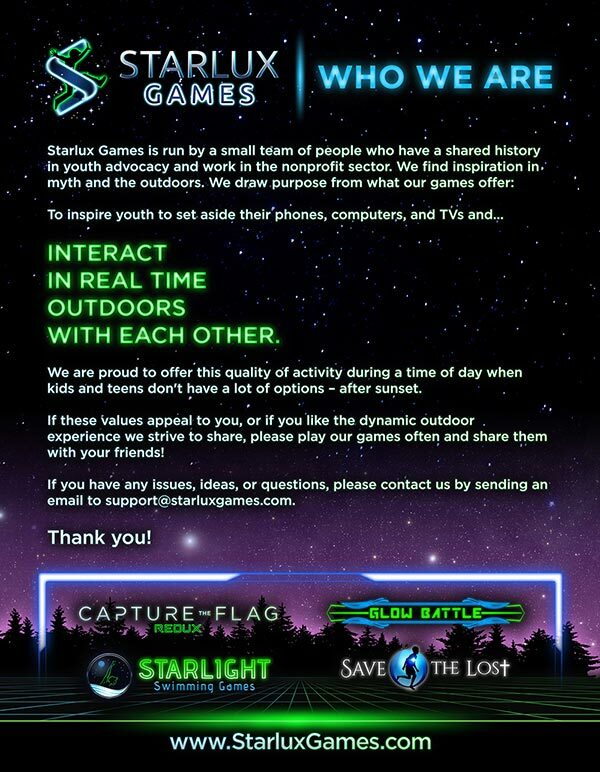 But here is something to add to the invitations… some instructions for how to play Capture the Flag. The kids coming to the party don’t need an online course on how to play or have fun. But knowing the general idea of the game will get things moving faster. Parents can still tell everyone the rules before starting the party. The adults will appreciate not having to answer 20 questions since everyone has seen the rules and concepts before they arrived at the shindig. As you can imagine some parents are picky about their kid’s clothes. After spending an arm and leg to buy the apparel, we can’t blame them. So it is wise to alert parents that Capture the Flag Redux will involve dirt, sweat, and even a stretched shirt or two. With this warning, no one will send their child to the party dressed like they’re going to a White House formal. And just like rain, a little dirt, sweat, and a twisted T-shirt never hurt anyone. Let’s toughen up our kids just in case life ever gets tough for them. Hint, it will. As you plan your amazing Capture the Flag Redux party, you will have awesome snacks and a perfect cake lined up. But remember that this game does tire out the players. So be sure to have plenty of water or Gatorade on hand. It would be a shame to have players drop out of the fun because of cramps or heat exhaustion. We want the kids to be tough, but we know you’re not running a boot camp either. Depending on how long the party is set to last, the teams will need mixing up now and then to keep it fresh for all the invitees. We can’t have one team dominating the contest for six hours if the party is an all-day affair. Parents can make sure the teams are evenly matched from the start or tweak the teams as the party goes on. It can get demoralizing if one team keeps winning easily. Stick a competitive mom or dad on the team that is struggling if need be. That should fire up the underdogs… and tick off the team that is finding it too easy to win! There are lots of ways to make parties for kids memorable. 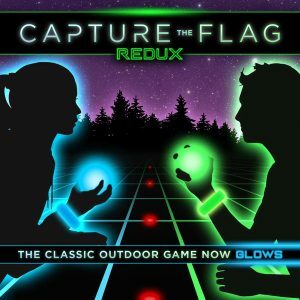 Taking the time to plan a Capture the Flag Redux party is a great step. It would be easy to let the kids mill around indoors and gobble down some cake and ice cream. They will love it, but it won’t stick in their minds as a top-5 party of their youth. What will make the top-5 list is a party where they ran wild and competed against their friends in a time-tested strategy game. Maybe they did it while getting soaked with rain. Or lost three pounds of water weight from sweaty fun. It’s weird how the best memories involve getting a little dirty and doing something physical in a competition. To learn the best Capture the Flag strategies for winning, download our FREE Capture the Flag Strategies eBook.